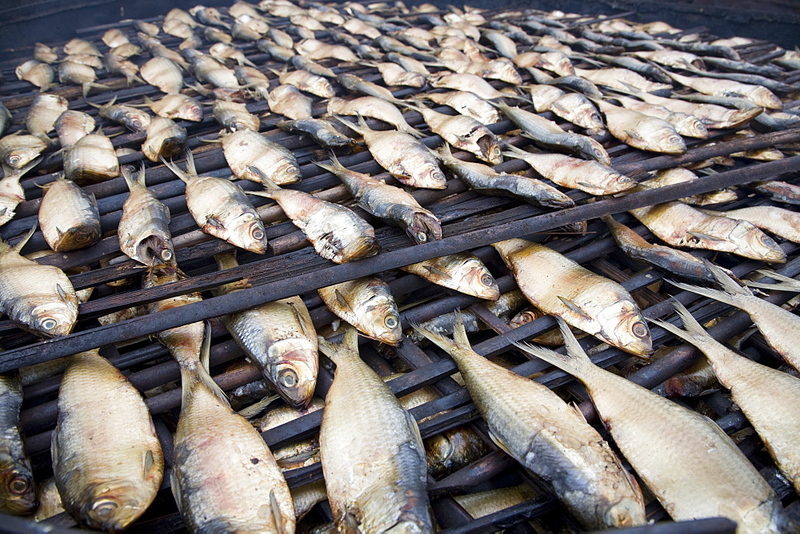 High Quality Stock Photos of "monrovia"
857-92085 - Fish being smoked in Monrovia, Liberia. 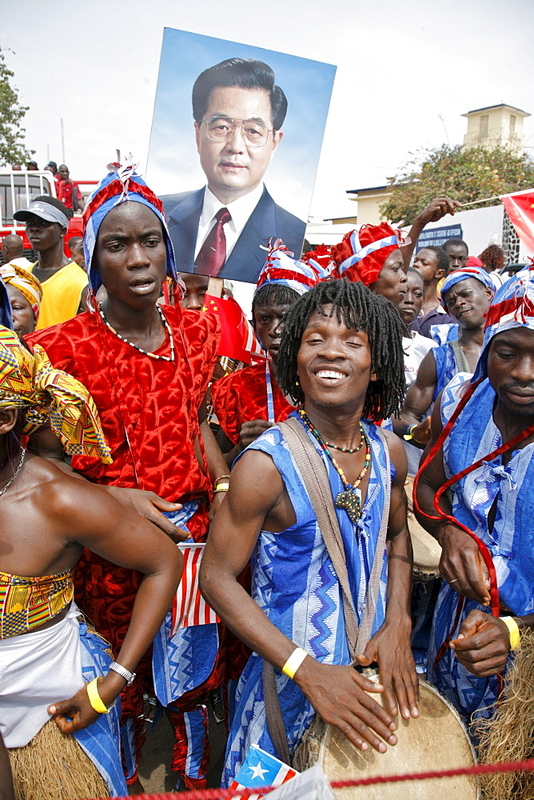 857-63350 - Liberians line the streets of Monrovia, Liberia to celebrate Chinese President Hu&#39;s visit. Besides rebuilding the National football stadium Chinese aid to the war torn nations is very popular with the locals. 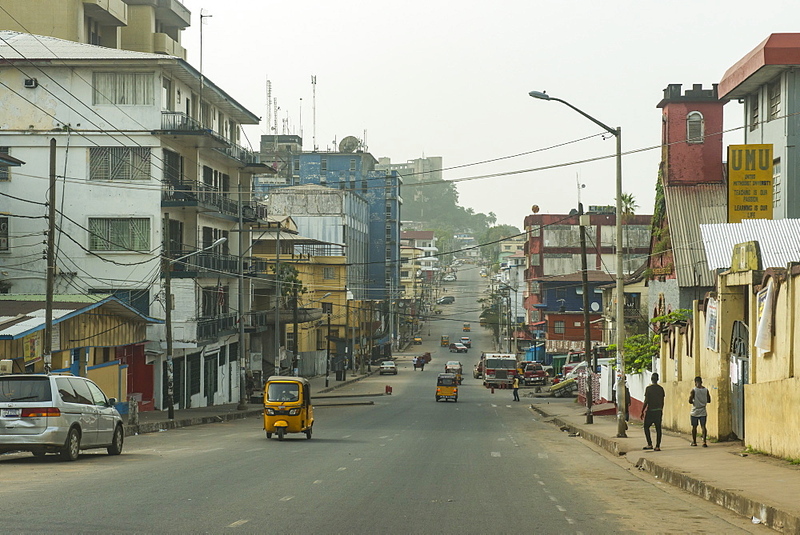 Liberia is rich in iron ore, timber, rubber and other resources which are desired by China. 857-63405 - Football game in West point, Monrovia, Liberia. 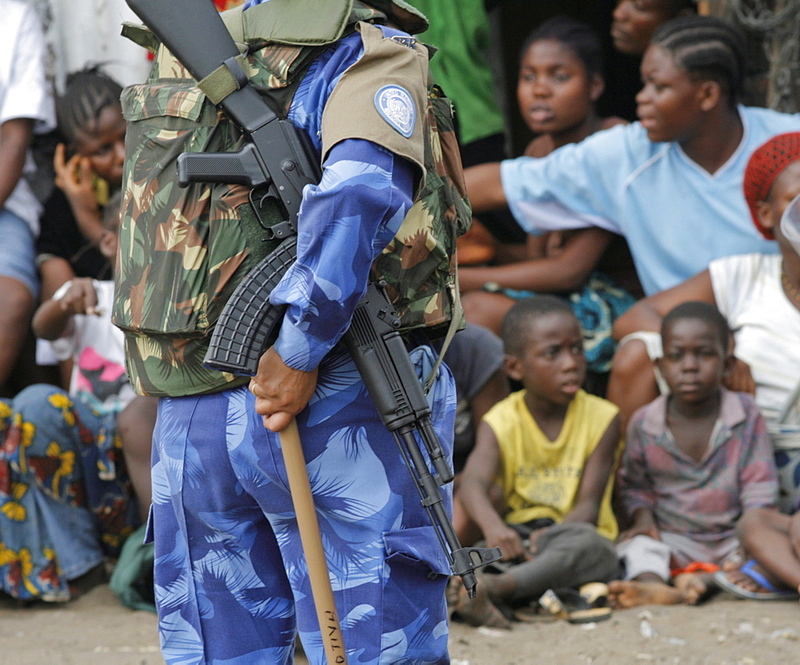 All female Peacekeeping police force from India are part of the UN&#39;s Form Police Unit which provides backup on patrol for local unarmed Liberian National Police . 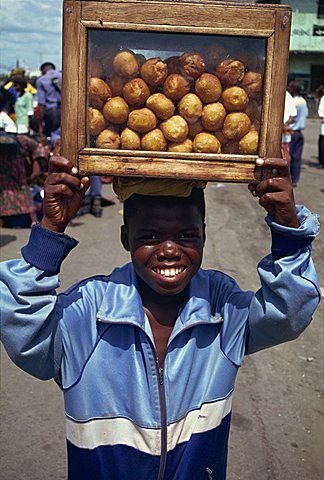 857-69370 - Monrovia, Liberia - September 19, 2007: Children selling snack food on the beach in the the fishing community of West Point in the Liberian capital of Monrovia which is one of the poorest slums in West Africa and suffers from overcrowding, lack of facilities, unemployment and garbage. 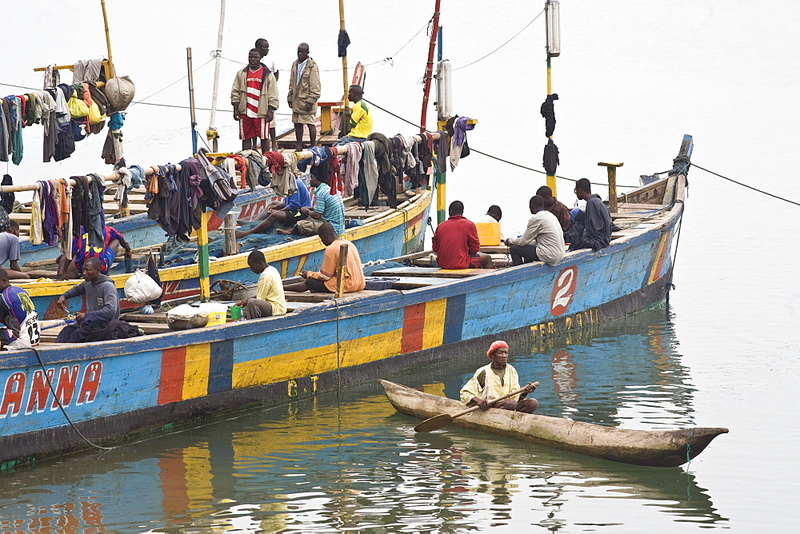 The fishing industry is an important source of employment and food for Liberians and is increasingly under threat by better equipped and unregulated foreign vessels over fishing in its unprotected waters. 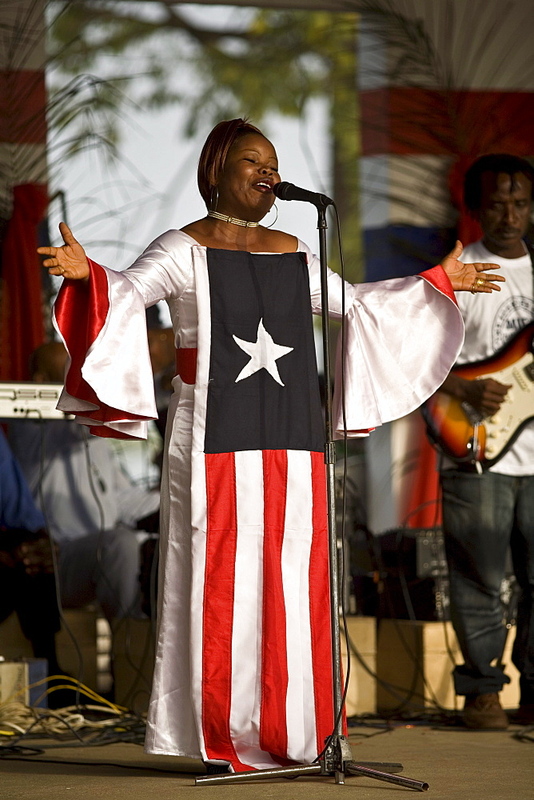 857-63374 - Young Liberian woman wearing a dress with the Liberian flag on it, singing the national anthem during a celebrations in Monrovia, Liberia on January 17th, 2007 marking one year anniversary of President Ellen Johnson Sirleaf coming to power. 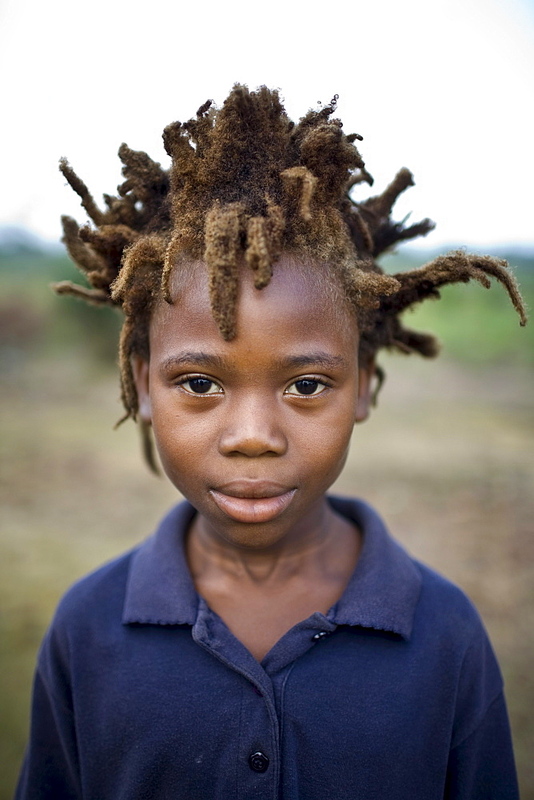 857-63352 - Portrait of a young african boy with wild spiky hair. 857-63418 - Elderly man in a dugout canoe beside a large fishing boat. 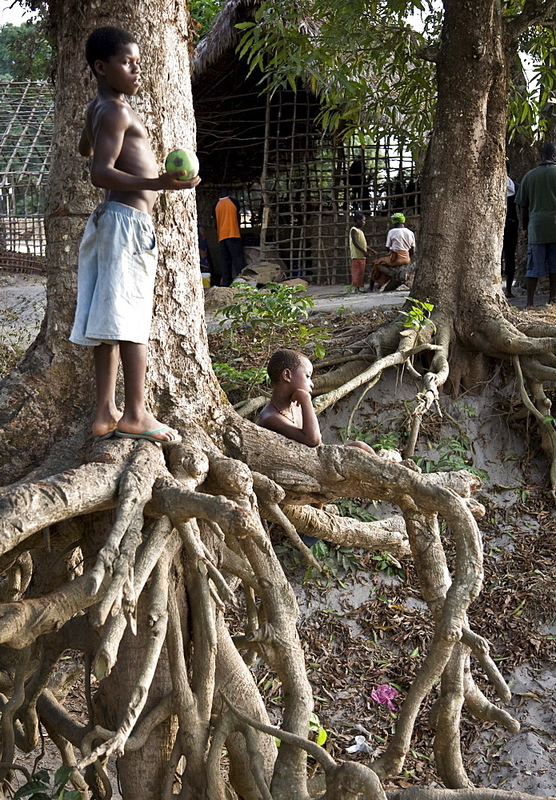 Sulima is a fishing village on the Alantic coast at the mouth of the Moa River near the Liberian border. Along its pristine beach, one of the longest in West Africa, fishermen launch dugout canoes and fish with nets drag back manually from the shore. Larger power boats mainly from Ghana leave from the more sheltered harbour on the Moa River. 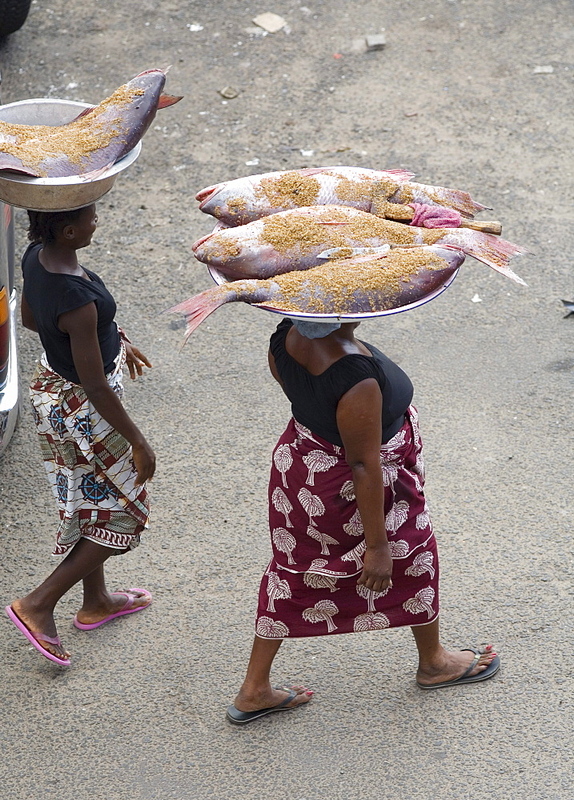 Most of the fish is smoke dried by the women of the village and then sold in markets as far off as Monrovia, Liberia. 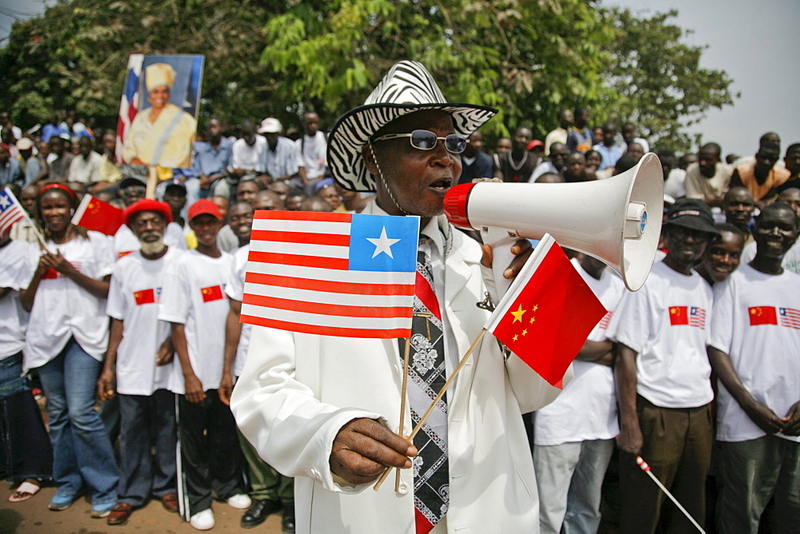 857-63376 - Liberians line the streets of Monrovia, Liberia to celebrate Chinese President Hu&#39;s visit. Besides rebuilding the National football stadium Chinese aid to the war torn nations is very popular with the locals. 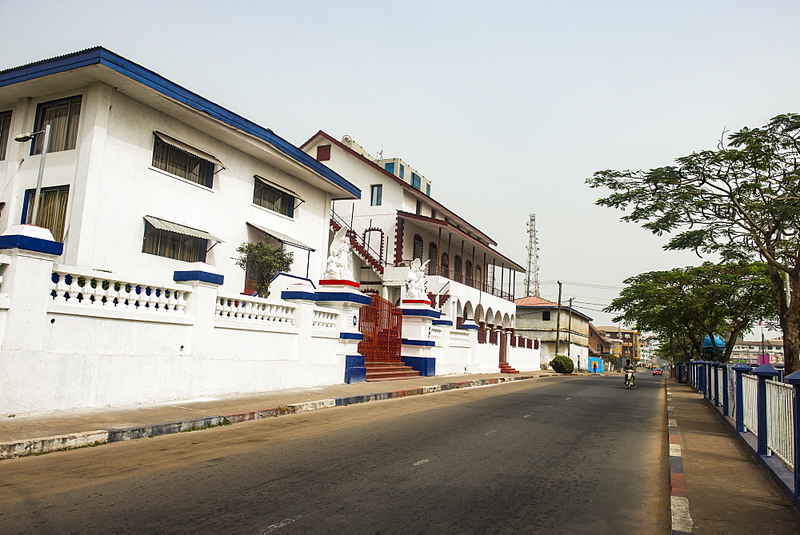 Liberia is rich in iron ore, timber, rubber and other resources which are desired by China. 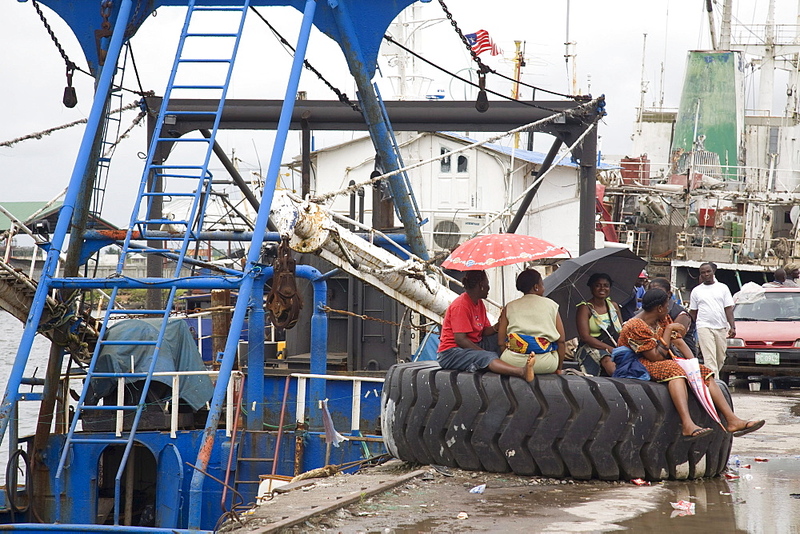 857-69376 - Monrovia, Liberia - September 19, 2007: Liberian women hanging out on the fishing port in Monrovia where almost all of the boats are operated by foreigners. 857-63416 - Young boys looking out over the town&#39;s port. 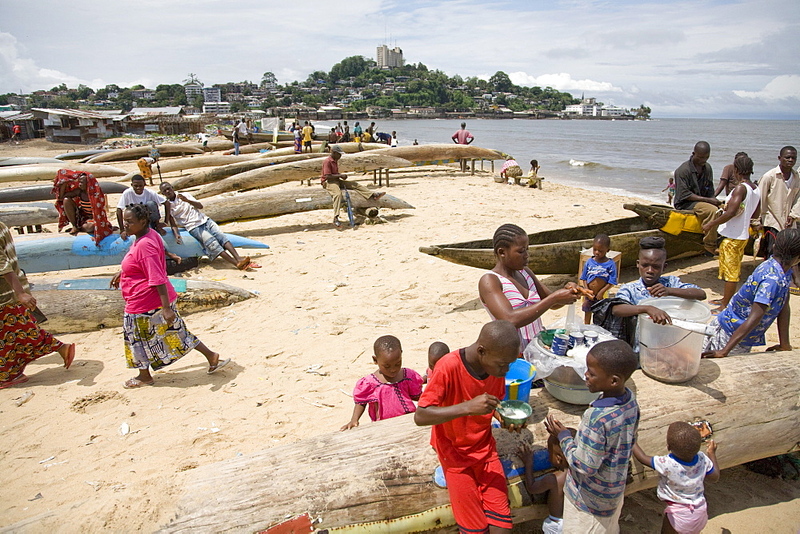 Sulima is a fishing village on the Alantic coast at the mouth of the Moa River near the Liberian border. Along its pristine beach, one of the longest in West Africa, fishermen launch dugout canoes and fish with nets drag back manually from the shore. Larger power boats mainly from Ghana leave from the more sheltered harbour on the Moa River. 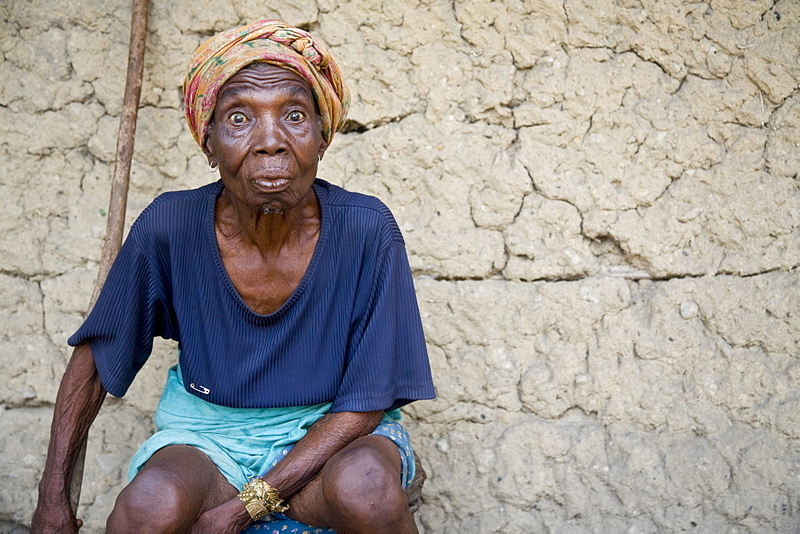 Most of the fish is smoke dried by the women of the village and then sold in markets as far off as Monrovia, Liberia. 857-63409 - Group of young men pulling a fishing boat out of the ocean. 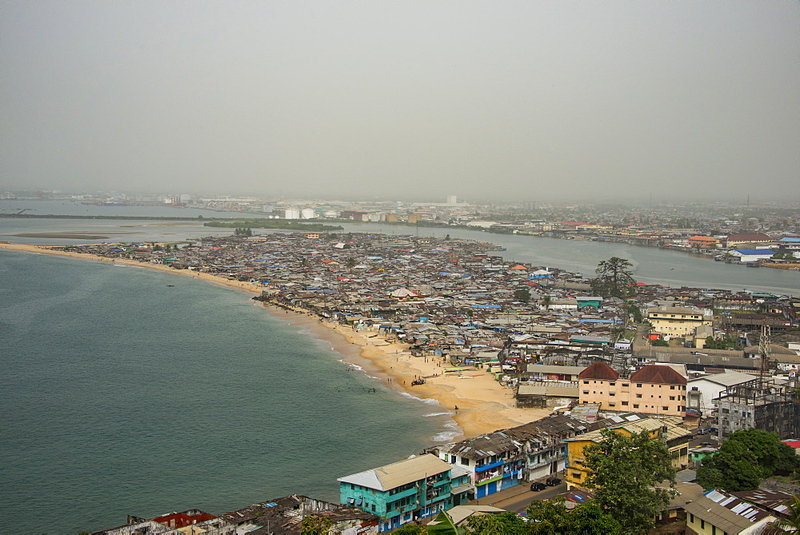 Sulima is a fishing village on the Alantic coast at the mouth of the Moa River near the Liberian border. Along its pristine beach, one of the longest in West Africa, fishermen launch dugout canoes and fish with nets drag back manually from the shore. Larger power boats mainly from Ghana leave from the more sheltered harbour on the Moa River. 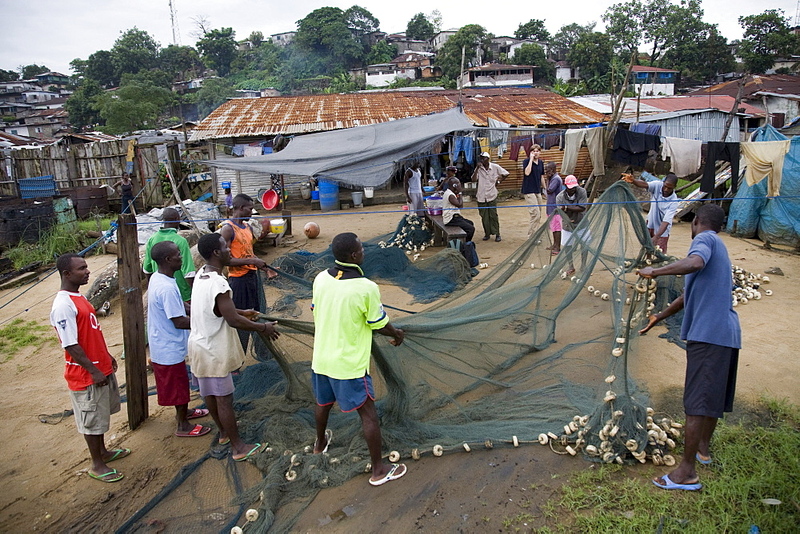 Most of the fish is smoke dried by the women of the village and then sold in markets as far off as Monrovia, Liberia. 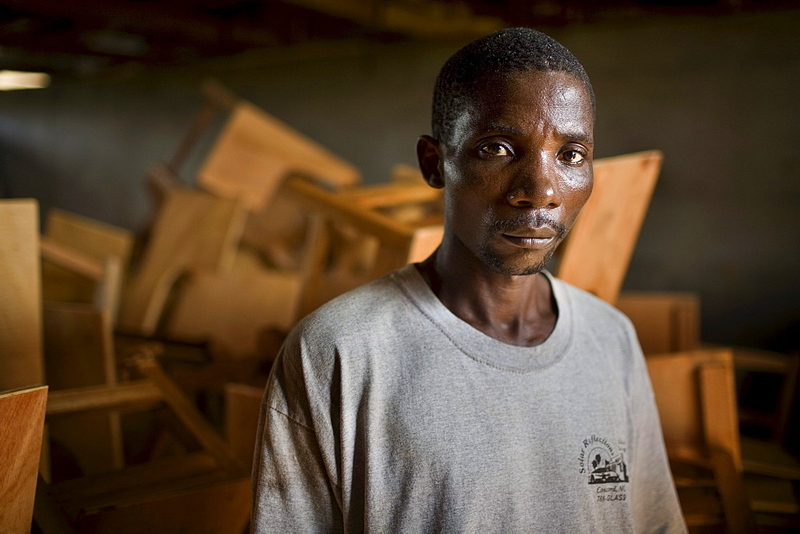 857-63406 - Portrait of a young Liberian man, Thomas Grant, in a carpentery workshop. 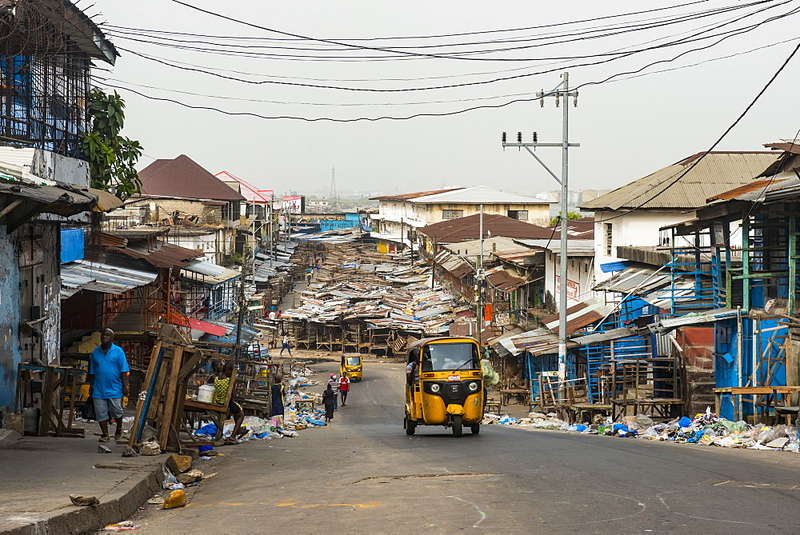 After the long civil war employment opportunities remain few and capacity building a priority. 857-63415 - Elderly woman making a funny face. 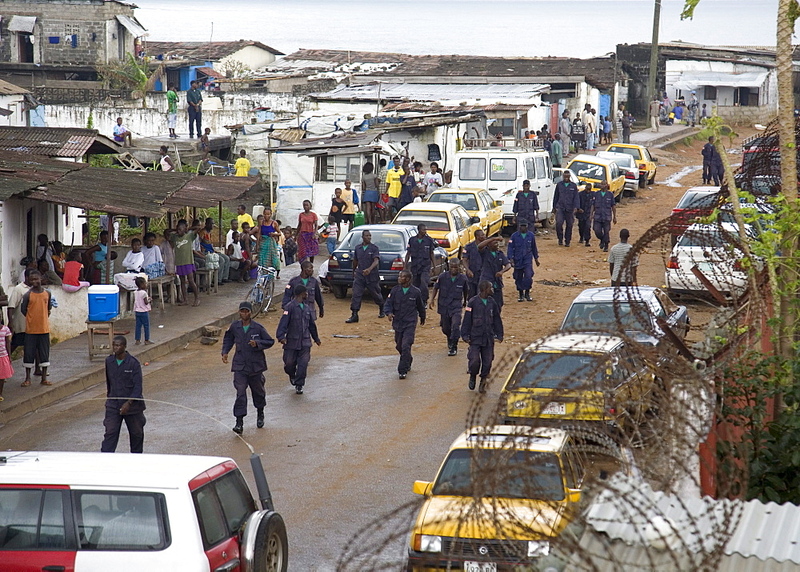 Sulima is a fishing village on the Alantic coast at the mouth of the Moa River near the Liberian border. 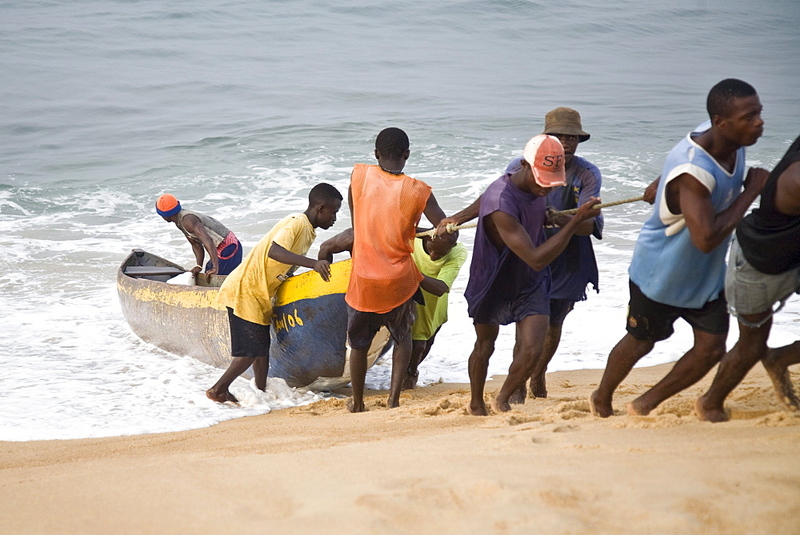 Along its pristine beach, one of the longest in West Africa, fishermen launch dugout canoes and fish with nets drag back manually from the shore. Larger power boats mainly from Ghana leave from the more sheltered harbour on the Moa River. Most of the fish is smoke dried by the women of the village and then sold in markets as far off as Monrovia, Liberia. 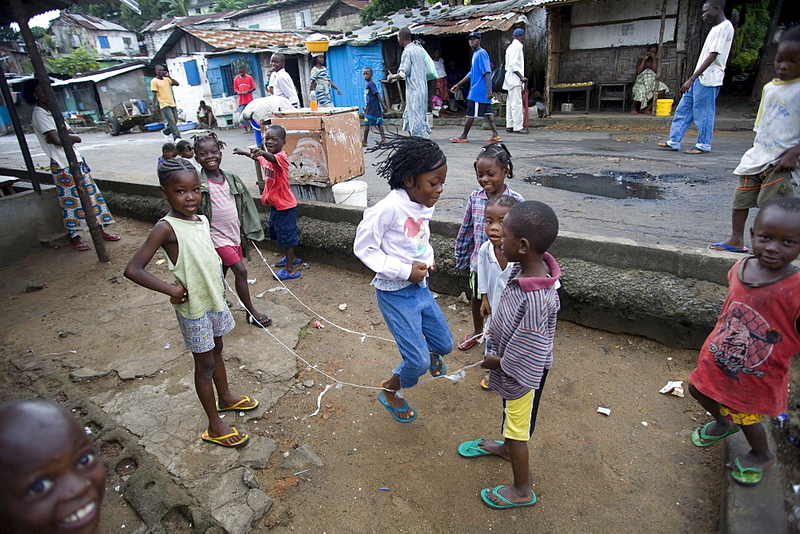 857-69365 - Monrovia, Liberia - September 18, 2007: Children skipping in the street in the fishing community of West Point in the Liberian Capital of Monrovia. The fishing industry is an important source of employment and food for Liberians and is increasingly under threat by better equipped and unregulated foreign vessels over fishing in its unprotected waters. 857-69363 - Monrovia, Liberia - September 18, 2007: Fishermen in West Point , Monrovia, Liberia sorting out, mending and picking trash out of their fishing nets. The fishing industry is an important source of employment and food for Liberians and is increasingly under threat by better equipped and unregulated foreign vessels over fishing in its unprotected waters.